QCOSTARICA – Bowing to increased pressure and criticism, the government on Wednesday announced a postponement of the prisoner release until next year. In a press release, the Ministerio de Justicia said the postponement is due to the fact that during December some half of the technical and administrative staff in the prison system is off on vacation. The announced release of 1,000 prisoners to a half-way house is part of the government’s plan to reduce prison overcrowding. Called semi-institutional, the select group of prisoners would have the ability to go home, study and work, required only to sleep one or a few nights in the half-way house. The deputy minister of Justice, Marco Feoli, assured this week that plan was not “a prisoner release”, rather a transfer from a full-time (behind bars) to half-way house and the selected prisoners were not linke to drug trafficking gangs. The plan generated a strong backlash against the government from opposition and security experts, a time when there is a spike in crime. Wednesday morning, President Luis Guillermo Solis had supported the measure (release) and denied a “split” in his government over the issue. “Thousands of little angels are looking for a place in your home and your heart. 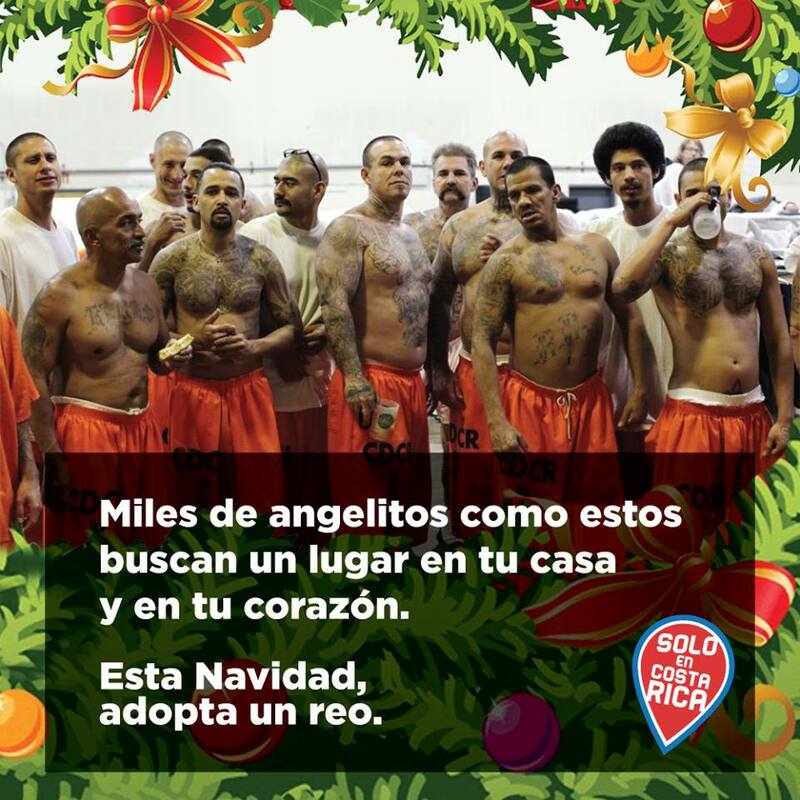 This Christmas, adopt a prisoner.” One of the number of memes that began to appear in the social media on Wedensday. In the afternoon, Legislators motioned for the appearance of Minister of Justice, Cecilia Sanchez and the Minister of Security, Gustavo Mata, to give explanations on the issue.